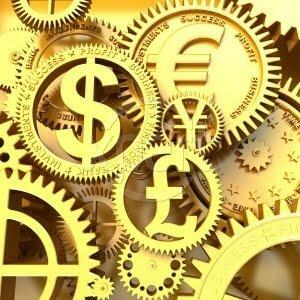 Where is the financial system going? I think there are a lot of mixed signals in the air. We get really excited about alternative financial products and services thriving: Lending Club going public on what can be considered a very successful IPO, while at the same time Wonga writes off $300M of debt, humiliating what used to be the flagship of the online payday industry (dragging down some of the most powerful venture investors on the planet). TransferWise raises $25M from Peter Thiel and Richard Branson, while at the same time Xoom Financial faces a $30M fraud, jeopardizing a new delivery model that previously seemed to be working. All the while, the Fed says the US economy is growing moderately, helped by sales of autos and consumer products while at the same time, a concern of a growing bubble of the auto loans industry is starting to gain some echoes and student loans reach $1T…does this sound familiar? Are we destined to relive the same economic cycles again and again? My guess is that until we decide to do things differently, the answer is YES. Our system is designed to lever production with other people’s assets, we use a very stable quantitative underwriting process to decide who we lend to, but once we cross the barrier of reaching an underserved (late adopters, laggards, the poor…you can add your own terms to the list) population, then the system fails. We lend people money they don’t have the capacity to repay, we push them to take loans on the promise that they can get out of the vicious spiral by developing incremental wealth (after all, we all want to pursue the dream) and once they figure out their incapacity to confront their commitment, we start all over again. As painful as this might be, the cost of default is still “affordable,” we are trapped in a system that has been designed with a fail-same and history is the witness to prove it. Is there a better way? Capitalism has proven to be the most successful production model yet and looks like it’s here to stay. So, how do we build a better system? My theory is that we need to replace our trading mechanism. We need to replace fear with trust, we need to complement creditworthiness with reputation, we need to achieve profitability with dignification, we need to understand that the whole is much more than the sum of its parts. When I was a kid, I used to frequentlysee my grandfather dressed in a jacket and tie and every time I asked him: “Why are you so dressy Grandpa?” He would answer, “because I’m going to borrow money from the bank.” After seeing this many times, one day I asked if I could go with him. We went to this beautiful building in the historic downtown of Mexico City and he spent 30 minutes talking to a stranger (I learned later it was the branch manager) about soccer, politics and grandchildren. At the end, the manager just asked him, “So how much do you need, Mr. Shteremberg?” Afterward, my grandfather and I left the bank and went for ice cream. The first time I went to get a loan, there was no general manager to talk to and no soccer teams to discuss. 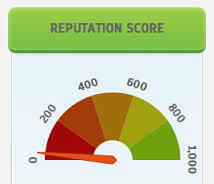 It was just a “sorry, you don’t have a credit score.” Back in the day, your credit score was your reputation and people valued their reputation more than a silly three digit number. Some ideas to come soon, and if you’re interested in this subject…let’s keep the conversation going!